MCB provides a network for progressive communities that is designed to facilitate, promote and showcase meaningful community efforts and serves as a conduit to technical assistance, funding sources and partnerships. It is also an advocate that encourages community leaders to move forward. The MCB program accomplishes this mission primarily by connecting community needs with available resources and by providing networking and educational opportunities through conferences and webinars to those involved in improving their communities. While Missouri Community Betterment, a nonprofit organization established in 1963, exists to benefit any community within the state, participants are primarily those that lack professional economic and community development, chamber of commerce, or local convention and visitor’s bureau personnel. The most active communities tend to be those in the rural regions of the state with populations less than 5,000 residents and are not necessarily defined by traditional geo-political boundaries as collaboration balanced with individual community pride is encouraged. 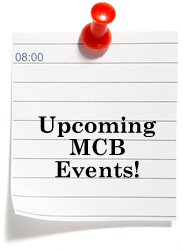 Most individuals within MCB member communities are volunteers who have gathered a group of people who recognize the need for improvements and take it upon themselves to plan and facilitate group efforts to move their community forward. Many primary contacts are local business owners, elected officials and board members of various civic and nonprofit organizations. Local youth who are interested in leadership and civic engagement are also involved. MCB encourages communities to include and foster their seniors, adults and youth in every aspect of their community betterment efforts. From 2008 to 2018 MCB Communities poured more than $435,001,329.01 back into their local economies through their community development efforts. An annual breakdown is provided below. MCB has provided service to more than 420 communities throughout their history covering all parts of the state.